Steeped in history, the majestic longleaf (Pinus palustris) is an economically and ecologically important tree species of the Atlantic and Gulf coastal plains. Its species name “palustris” means “of the marsh,” and although it is commonly associated with sandy, well drained areas, the longleaf pine is adapted to a range of soil types. Once the dominant tree on 60 million acres in the S.E. United States, development and intense harvesting have reduced its current range to about 3 million acres. 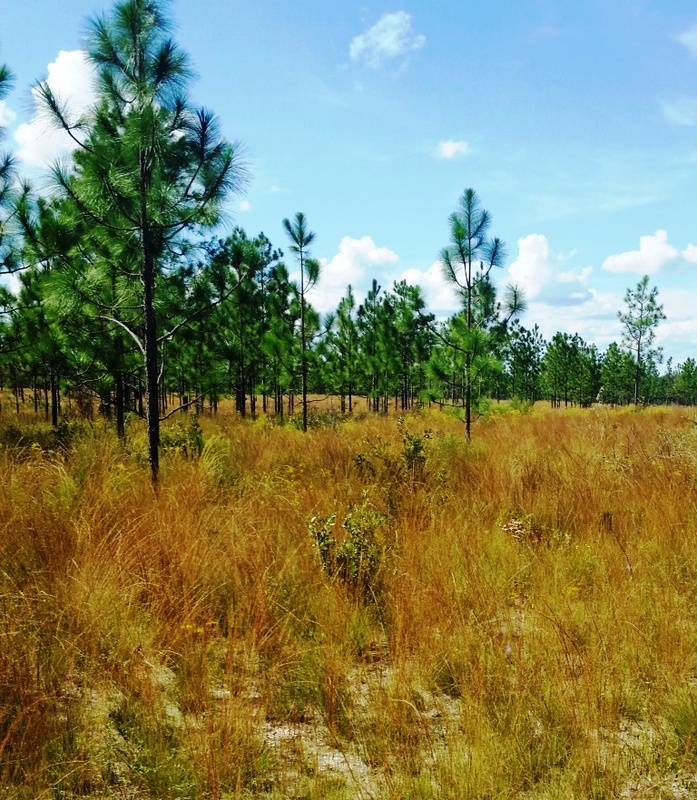 The longleaf’s desirable characteristics, however, have motivated restoration efforts of this pine tree on timber-lands, agricultural lands, private lands, and public lands. 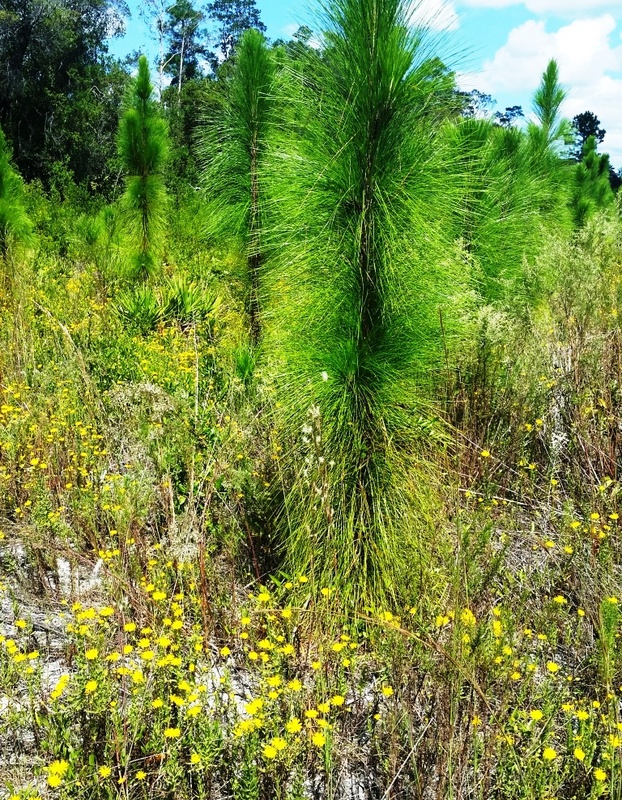 Longleaf’s desirable characteristics include being a native, well-adapted, ecologically, and economically valuable tree. The more widely adapted a natural commodity such as the longleaf pine tree species is, the safer an investment in the future it becomes. Because the longleaf is native and adapted, it is highly resistant to most diseases and insects such as the Southern Pine Beetle and Fusiform rust. 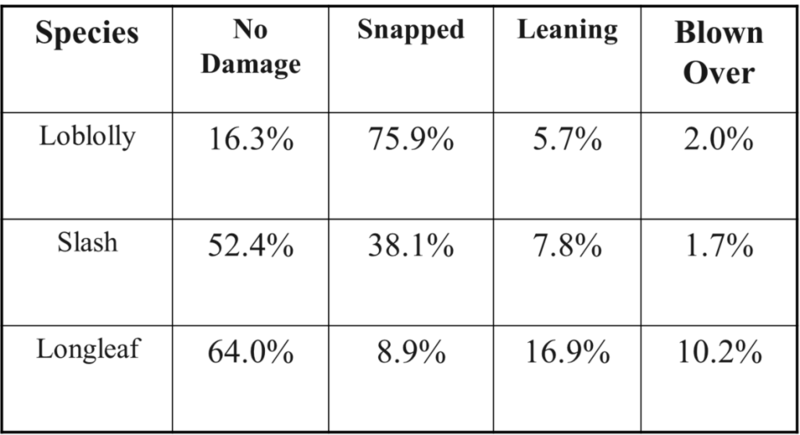 It is ideally suited to, and in fact, dependent upon, a high-frequency (every 5 to 10 years), low-severity surface fire regime. Its seed will germinate on the mineral soil exposed by fire. Fire also controls the understory vegetation that would otherwise compete with longleaf preventing it from reaching its maximum growth potential. The established longleaf is also quite wind resistant in comparison to other southern pines. See table 1 below. Planting longleaf as an investment is a long-term prospect, and its financial viability and profitability becomes more apparent over time. It is recommended for thinning 4 times – from 20 to 45 years of age. The thinned trees themselves will provide income, while leaving the remaining trees to mature to their most valuable state. The remaining trees also act as “shelterwood” for subsequent stands. This “shelterwood” protects young seedlings. 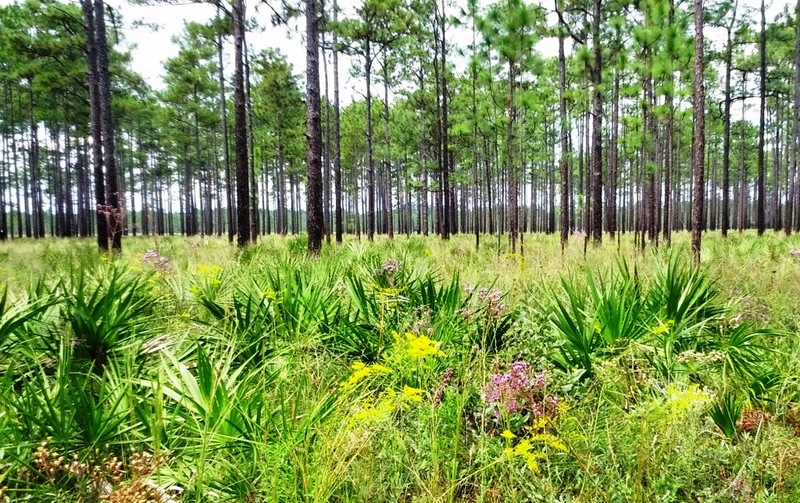 In a well-managed longleaf pine stand, future trees can be established using natural regeneration and fire, virtually eliminating repeated planting and site prep expenses. Longleaf pine produces high value timber with clear, straight wood and few defects. It was used extensively in the past for ship building, in fact, records indicate that some of the choicest stands of longleaf were set aside by the English Crown for the exclusive use of the British Navy! This pine yields a higher percentage of valuable poles than any other southern pine, and on average, poles are worth about 50% more per ton than saw-timber. Longleaf also produces valuable non-timber products such as pine straw. 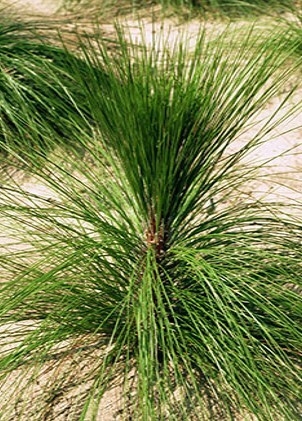 Longleaf pine straw is generally more desirable than other straw and commands a higher retail value. As the longleaf stand matures, more pine straw can be harvested. It is now recognized that a properly managed longleaf pine stand is one of the most biologically diverse habitats in North America! A wide variety of wildlife depends on the longleaf pine ecosystem. Endangered species such as red-cockaded woodpeckers and indigo snakes are threatened by the loss of longleaf pine habitat. The seeds are an excellent food source for many species. Gopher tortoises, Florida mice, gopher frogs, and eastern diamond-back rattlesnakes are among the native animals in the ecosystem. Mature longleaf forests are a uniquely beautiful sight to see. The open, park-like, vistas are visually stunning with spring and fall wildflowers. These were the southern pine forests that early settlers and pioneering botanists explored. They provided turpentine, pitch, grazing lands, valuable timber, and wildlife habitat that supported the development of the southeastern United States. No wonder there is a growing interest among landowners and state and federal agencies to reestablish this important and outstanding tree ecosystem.